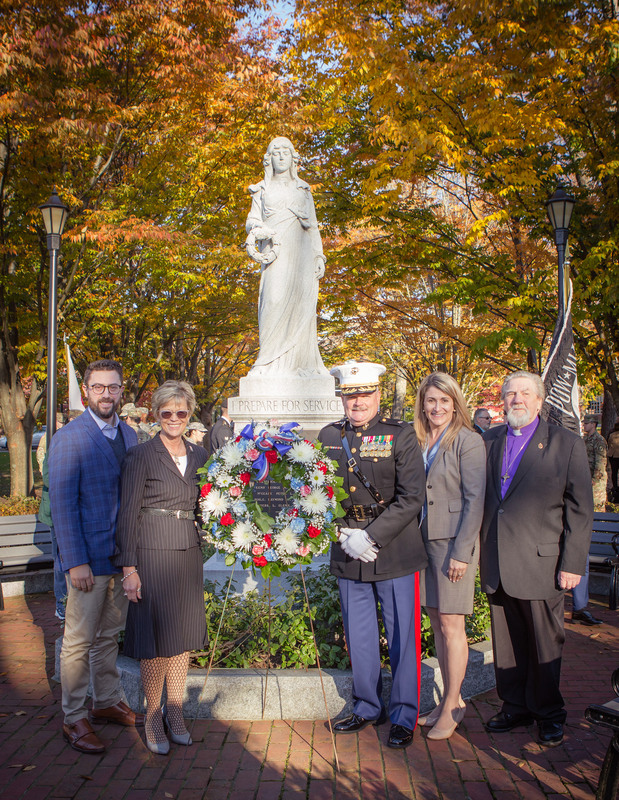 It was wonderful celebrating Veteran’s Day last Sunday and an honor to speak at several events in the area. 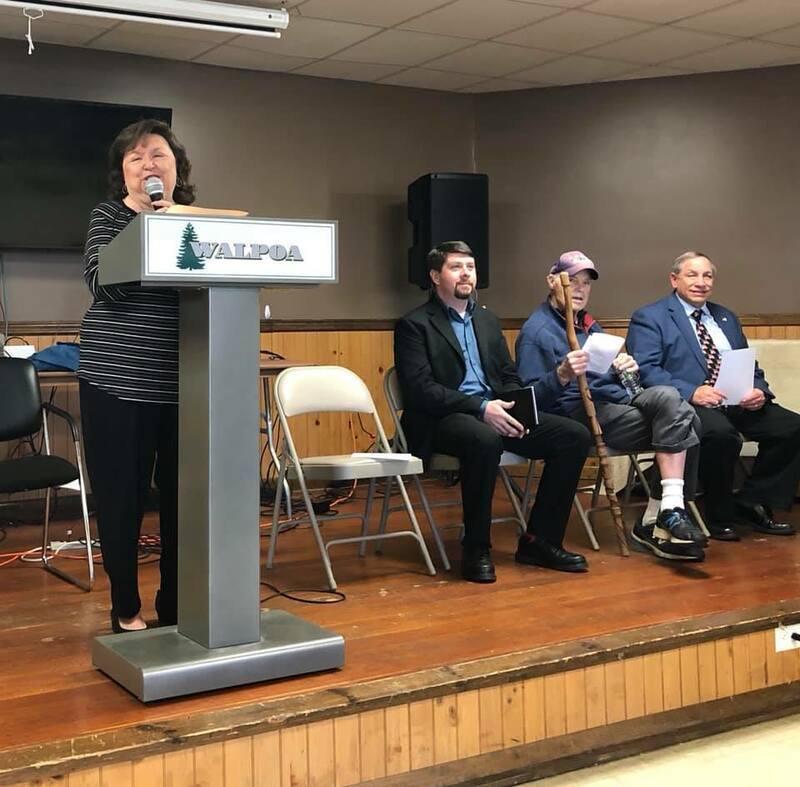 I spoke at the Wild Acres Community Ceremony in Pike County and the High Acres Park Ceremony in Canadensis on the many ways we can honor our veterans all year long. 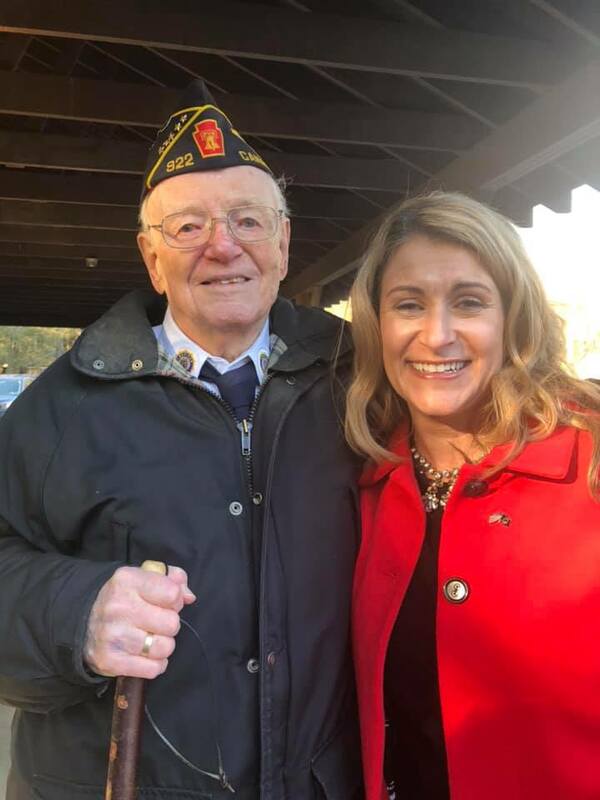 I also stopped in to the Middle Smithfield Township Veteran’s luncheon later and I want to thank the township for organizing a wonderful appreciation event! On Thursday, Nov. 15, I attended the annual veterans ceremony at East Stroudsburg University as well. It was a great week capped off by our Annual Veterans Celebration event that was held yesterday at Middle Smithfield Elementary. Thank you to all our veterans and their families for their service and sacrifice to protect our country and way of life. Be sure to thank our veterans all year long. This past week I celebrated 24 years of marriage with my childhood sweetheart and husband, Joe. 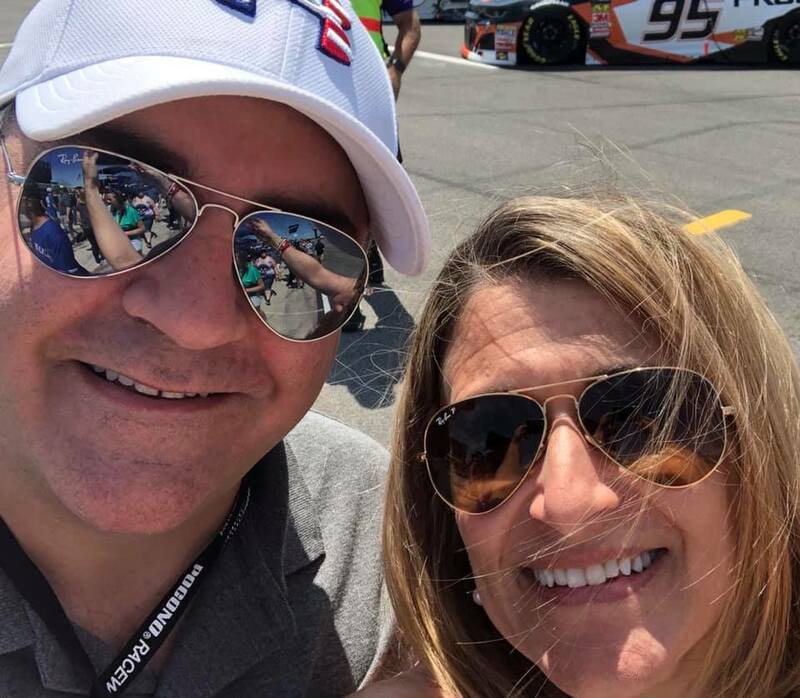 To all those that know Joe or maybe haven’t met him yet, he’s an amazing, supportive husband and father while I serve as state representative. My public statement of love to him always! In honor of the Thanksgiving holiday on Nov. 22, state offices will be closed on Thursday, and my office will also be closed on Friday, Nov. 23. PennDOT Driver License Centers will also be closed Nov. 22-23. If you are traveling, be sure to check 511pa.com for the latest traffic and weather information. The Pennsylvania Department of Transportation (PennDOT) will hold an open house plans display on Tuesday, Dec. 4, to share information about plans that have been developed to widen and improve safety on the Interstate 80 corridor in Monroe County between exits 303 and 307 in Stroudsburg and East Stroudsburg boroughs and Stroud Township. The open house plans display will be conducted at the Stroudsburg High School cafeteria, 1100 Main St., Stroudsburg, from 5-7 p.m. An open house format will allow all interested persons to attend at whatever time is convenient for them during this two-hour period. The open house will include videos and other displays illustrating the proposed improvements. Members of the project team will be available to answer questions about the project. The project calls for improvements to I-80, including three through lanes in each direction, reconfiguring interchanges and improving on and off ramps to improve mobility and interconnectivity, and replacing multiple bridges. On Sunday, Nov. 11, I stopped in to see some of the fantastic Broadway talent presented by the Pocono Center for the Arts at Stroudsmoor. 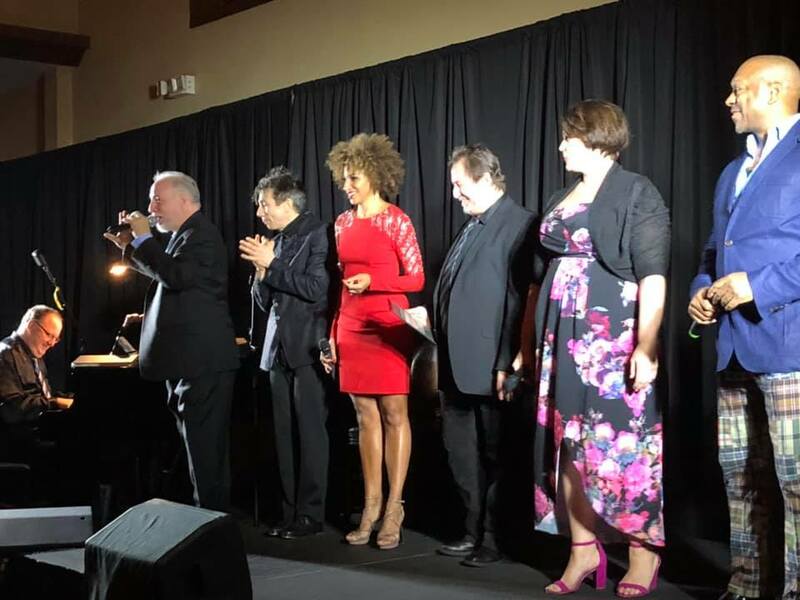 The event, “Broadway Spotlight,” included Broadway singers and some of our local youth (Just Around the Corner Productions) as backup singers and participating in the performance. The Pocono Center for the Arts is an initiative to build the arts in the Poconos with top-notch talent and facilities. What an amazing show! We honored the Shawnee Inn, Stroudsmoor and the Deer Head Inn for their work in supporting the arts in our community! 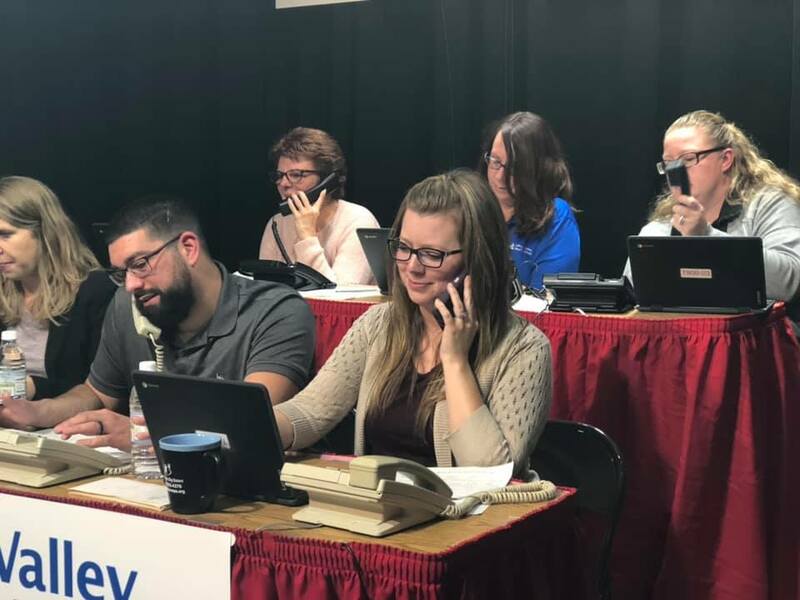 Last Sunday, I stopped in to work on the Halterman’s Host Desk for the Big Brothers and Big Sisters (BBBS) of Monroe County Telethon. We worked to raise donations, educate viewers on the importance of the BBBS program to our youth and garner volunteers to be a Big. For more information on this nonprofit, please visit their website. Thank you to all the volunteers who helped all day! A complimentary dinner will be provided by The Shawnee Inn and Golf Resort for local individuals and families in need. 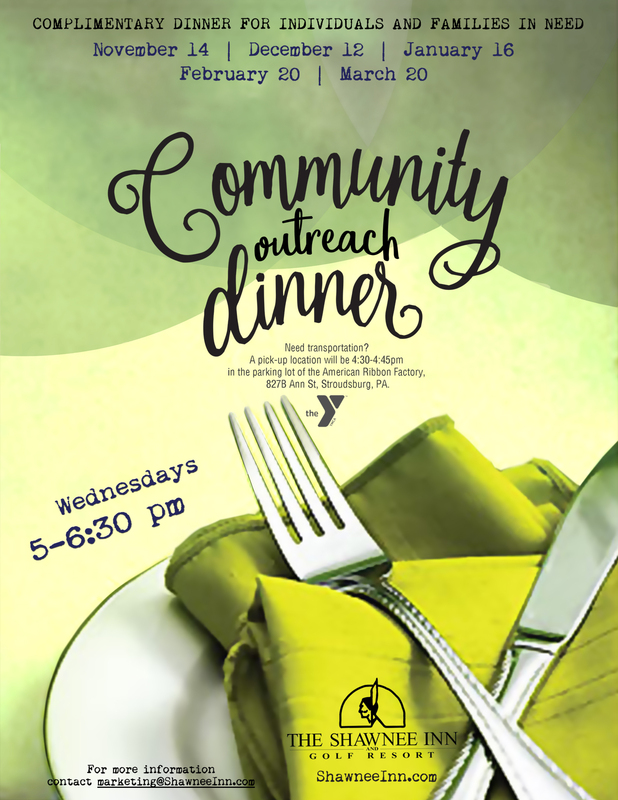 These community outreach dinners will be held on Wednesday, Dec. 12, Jan. 16, Feb. 20 and March 20, from 5-6:30 p.m.
With a strong majority going into the 2019-20 legislative session, the 110 members of the House Republican Caucus – including 91 returning legislators and 19 freshmen – elected their leadership team to begin Jan. 1. This is the second time since 1924 that Republicans have maintained control of the House for more than four terms in a row. New to their respective Republican leadership positions are House Majority Leader Bryan Cutler (R-Lancaster), Majority Whip Kerry Benninghoff (R-Centre/Mifflin), Majority Policy Committee Chairman Donna Oberlander (R-Clarion/Armstrong/Forest) and Majority Caucus Secretary Mike Reese (R-Westmoreland). Retaining their respective Republican leadership positions are Appropriations Chairman Stan Saylor (R-York), Caucus Chairman Marcy Toepel (R-Montgomery) and Caucus Administrator Kurt Masser (R-Columbia/Montour/Northumberland). New to their respective Democratic leadership positions are House Minority Whip Jordan Harris (D-Philadelphia), Minority Appropriations Chairman Matt Bradford (D-Montgomery), and Democratic Caucus Chairman Joanna McClinton (D-Philadelphia/Delaware). Retaining their respective Democratic leadership positions are House Minority Leader Frank Dermody (D-Allegheny/Westmoreland), Minority Policy Committee Chairman Mike Sturla (D-Lancaster) and Democratic Caucus Secretary Rosita Youngblood (D-Philadelphia). The Center for Rural Pennsylvania and its research partners at Penn State University are continuing to invite Pennsylvania residents to help provide much-needed information by taking the broadband speed test available here. Your participation will help map broadband access in Pennsylvania, providing a valuable tool as lawmakers work to resolve this issue.